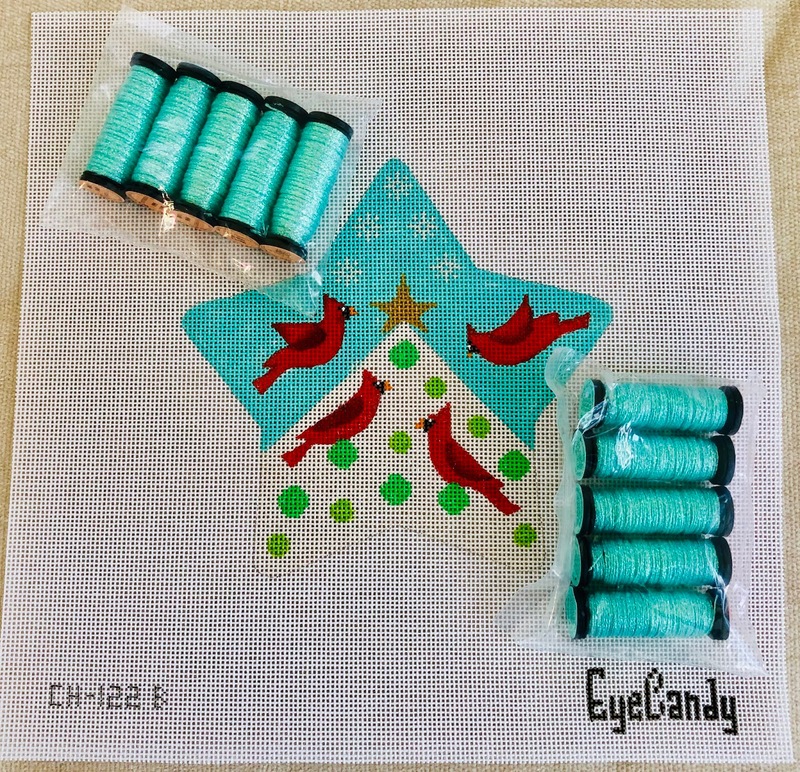 EyeCandy Needleart: Thank You Kreinik For The Perfect Color!! Many thanks to Kreinik for the newest color they have cooked up, Sea Glass, #096! This is a color that appears on many EyeCandy canvases, so I'm sure to put it to good use. Thanks also to Kreinik for the supply of my favorite sizes, #8 Braid and 1/16" Ribbon! To read more about this fantastic thread, click here.